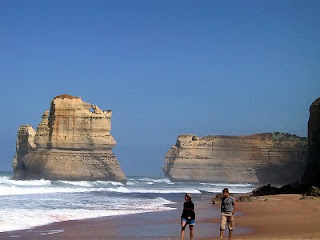 The Great Ocean Road is a famous stretch of road in south eastern Australia, and is one of the most popular drive trips for that region. One of the highlights along the journey is the Twelve Apostles, and some drive through just for that. So while the Great Ocean Road can be done in 5 hours, me and my friends went through it in 5 days. Well known as a scenic coastal drive, a large portion of the road hugs the coastline. 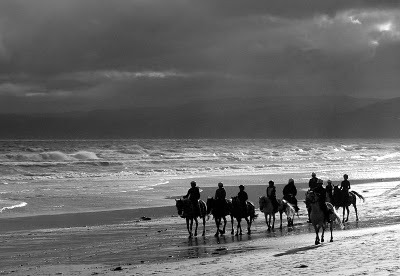 However, besides just coastal views, there are many other interesting stops along the way. 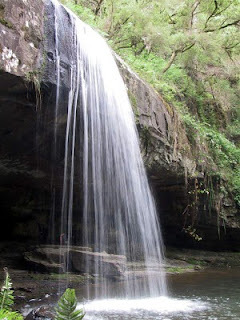 Lorne, a beach town popular with tourists, has other attractions including nice forest walks as well as Erskine Falls, a pretty waterfall not far from Lorne. Further down, you'll drive through the Great Otway National Park, housing temperate rainforests and temporarily hiding the coast from view. 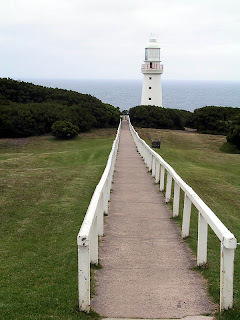 There is also Cape Otway Lighthouse, Australia's oldest operating lighthouse till it was decommissioned in 1994. 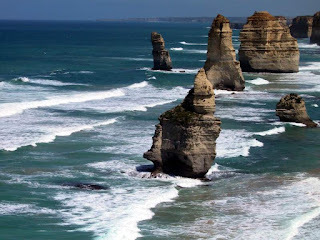 And as you go further westward along the Great Ocean Road, there are other rock formations besides the Twelve Apostles : Island Arch, Blowhole Gorge, and London Bridge (which has fallen down) etc. And of course, lots of beaches. 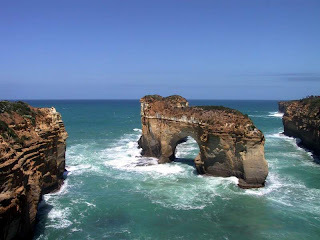 So, when you do go for the Great Ocean Road drive, do it slowly and enjoy the journey!! 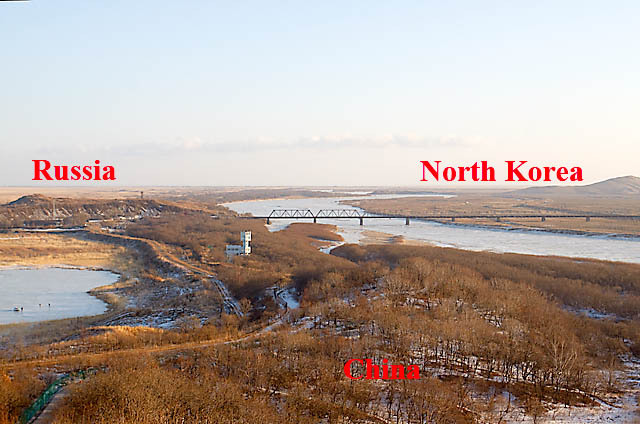 Fangchuan (防川), a small village in a sliver of land wedged between Russia and North Korea, finds itself in some travel guides for one reason - to be able to view 3 countries from a single viewpoint. 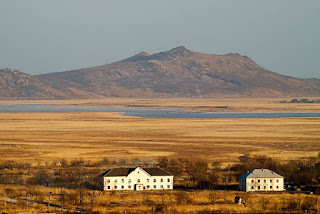 Situated in the Yanbian (延边) Korean Autonomous Prefecture in Jilin Province of Northeast China, the area does contain quite interesting histories for those who enjoy the subject. For the casual traveller, the notion of being at the border of 3 countries is the main draw. 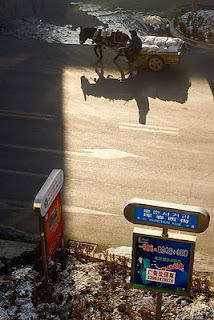 In fact, the moment I arrived in Hunchun (珲春), the town that connects to the rest of the prefecture, the cab drivers started quoting prices to Fangchuan. When I asked, "What to see in Fangchuan? 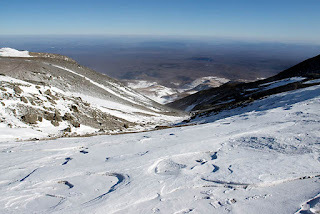 ", the driver exclaimed incredously, "To see the view of 3 countries (一眼望三国), why else would you want to come to Hunchun??!"! Well, Hunchun itself is very similar to the other towns/cities in Yanbian. 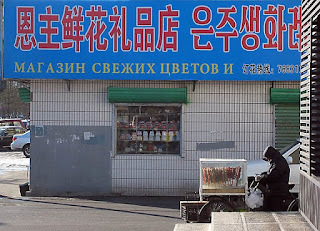 Korean seems to be spoken as widely as Chinese, and dog meat restaurants, barbeques, and kimchis are all over the town. While the road and shop signs in the other Yanbian towns are in bilingual, here the signs are all in 3 languages : Chinese, Korean and Russian. However, I did not see many Russians when I was there. One of the highlights in Northeast China is ChangBaiShan (长白山) and most guidebooks recommend a visit in summer, especially to see the beautiful Tianchi (天池). But I went in winter, and I was absolutely blown away by its beauty. 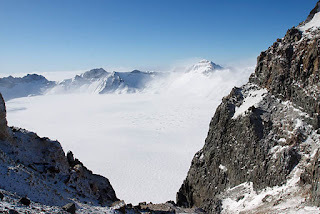 Tianchi, or Heaven Lake, is a lake in a caldera atop the Changbai mountain range which straddles China and North Korea. 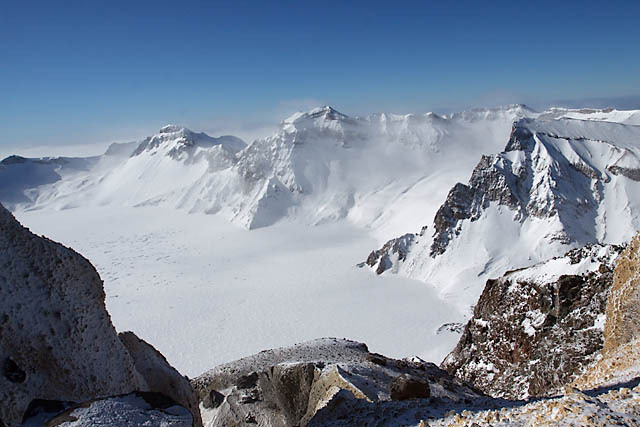 In winter, the lake is completely frozen, and seeing it from the peak of ChangBaiShan will certainly take your breath away, in more ways than one. At 2600+m, -28°C, and howling wind speeds, I needed the lake's beauty to distract me from the harsh conditions. It was indeed quite challenging for photography!! 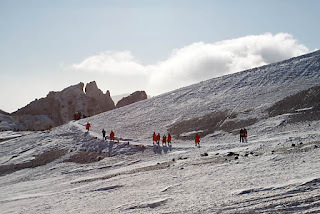 However, access to the peak seems to be quite controlled. There are specially designated jeeps that bring you up to the peak's visitor station. 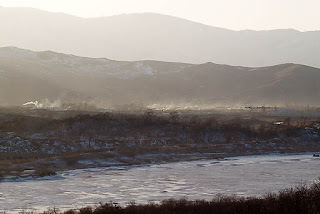 Perhaps this is a good thing, since you wouldn't want to wander into North Korea territory... From the visitors station, its just a short trek to the lake viewpoint. Although it was extremely cold, I am glad I made the trip! !